Worcestershire Sauce, an essential ingredient in a Bloody Mary (and even more essential in a Virgin Mary) was trademark registered by Lea & Perrins on this day in 1892. Lea & Perrins had been manufacturing the famous sauce since the 1830’s, but Trademark legislation was not enacted in Britain until 1875. Why did they wait so long to patent their product? They must have been confident that imitations of their sauce would not have been serious competition, which means that they must have been confident that they could maintain the secrecy of the recipe. The recipe has a mysterious disputed past. The original Worcestershire Sauce bottle label stated that it was “from the recipe of a nobleman of the country”. Most versions say the ‘nobleman’ returned from India with a recipe which he asked the local apothecaries (Lea & Perrins) to make up. They did. It was awful. They all forgot about the idea. They literally forgot about it, and left the barrels in the cellar. Some time later (months? years?) the barrels were rediscovered, and were about to be disposed of when someone thought to taste the contents and Lo! and Behold! – fermentation had improved the brew no end. The rest is marketing history. The sauce became a standard ingredient in savoury dishes, even in America (although the American version contains white, not malt vinegar), as this recipe from School And Home Cooking By Carlotta C. Greer (1920) demonstrates. Note: it is a text book, so questions will follow. Please pay attention. Make a brown sauce, using all ingredients except the Worcestershire sauce (see Brown Sauce). Add the cutlets to the sauce, and cook them at simmering temperature for 1 hour or until tender. Just before serving, add the Worcestershire sauce. Beef may be prepared in the same way. Why is it desirable to use parsley and Worcestershire sauce with veal? Is it desirable to use Worcestershire sauce with beef or mutton? Explain your answer. Why is Worcestershire sauce not cooked with the brown sauce? I fail. I am unable to answer Ms Greer’s questions. Are you? Although the exact recipe for Lea& Perrins’ Worcester Sauce remains a secret, there seems to be consensus that it contains salted anchovies, tamarind, molasses, garlic, vinegar, chillies, cloves, shallots, and sugar. As with the famous drink that once contained real Cola, its popularity has ensured that imitators will keep trying. The useful and comprehensive Cassell’s Dictionary of Cookery (1870’s) gave a recipe for it, using its original name of Worcester Sauce. Mince two cloves of shallot, put the mince into a dry bottle, and pour over it a pint of Bordeaux vinegar. Add three table-spoonfuls of essence of anchovy, three tablespoonsful of walnut ketchup, two tablespoonfuls of soy, and as much cayenne as is approved: the quantity cannot be given as cayenne varies so much in quality. Cork the bottle, keep it in a cool place, and shake it well twice a day for a fortnight. Strain the sauce, put in small bottles, cork closely, and store for use. The English have only three sauces - a white one, a brown one and a yellow one, and none of them have any flavor whatever. Guy de Maupassant, French author. The New York Times ran an interesting snippet on this day in 1995. Using one of the world's largest radiotelescopes, British scientists have analyzed an interstellar gas cloud and calculated that it contains enough alcohol to make 400 trillion trillion pints of beer. This is the sort of factoid that begs too many questoids. How many of these interstellar booze-clouds are there? An approximately Infinite number? (Is ‘Infinite’ a number? ) How can the alcohol be harvested? Is it a renewable resource? Can these clouds be seeded to make it rain beer? Would that be 400 trillion pints of low alcohol beer, or high? Presumably, as they were British scientists, they mean British trillions (18 zeros) and not US trillions (12 zeros) – which means that for those of you in the USA, it is better than you perhaps first thought on reading the story. If there is an Astronomer Reader following this blog, please contact me and offer to do a guest blog post (all the best blogs do this guest-blog thing) and give us some more information on this massive untapped resource. As for my own thoughts on reading this little article, all I can say is, if I was the Supreme Celestial Cook, I would use some (well, most) of that alcohol to make champagne. I mean, how many beer-drinkers does one Universe really need? Even with my brave champagne-drinking friends to help (you know who you are), there would surely be much alcohol of all sorts left over to use in cooking. 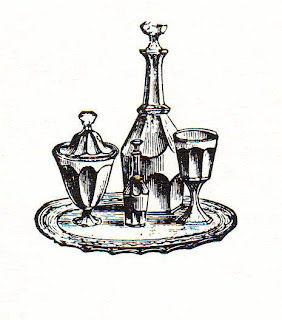 I seem to have posted a number of historic recipes using booze since this blog started (I’m not sure what this says about me). We have had, for example, Foie Gras Souvarov (brandy), Rum Pudding, and Whisky Apples (on the Companion site). Clearly however, once that Astronomer Reader contacts me and gives us the information we want, that will be an insufficient number of recipes. Here are a few more, all from the 1870’s. Simmer two quarts of milk beer (it should not be bitter) with the thin rind of a lemon, a few cloves, and a stick of cinnamon, sweeten with sugar, and add it through a sieve to the yolks of sx well-beaten eggs and half a pint of cream. Whilst pouring into the tureen, stir it to a froth with a wire whisk. The beer should be very hot, without boiling, before it is stirred with the eggs. Serve hot with toast. Beat the yolks of five eggs very thoroughly, and add by degrees some finely-pounded white sugar, sufficient to make it stiff and firm. Then add a bottle of champagne, keep on stirring till it is all mixed. Last of all, put in a tablespoon of brandy. Put the cream in a glass jug, and serve it in champagne glasses. Beat three eggs in a bowl, and add a very small pinch of salt, a tea-spoonful of finely-powdered sugar, a slice of butter, and a tablespoonful of rum. Fry the omelette in the usual way. Lay it on a hot dish, and pour round it half a tumblerful of rum which has been warmed in a saucepan. Set light to this, and take the omelette to table with the flame rising round it. This cordial should be made when white currants are in season. 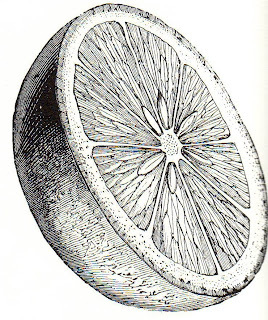 Take the thin rind of a large fresh lemon entirely free from the bitter white part. Put it into a jar with half a pint of ripe white currants stripped from the stalks, and a piece of whole ginger the size of a bean. Pour over the ingredients a quart of whisky, and let them infuse for twenty-four hours. Strain the liquor, sweeten it with half a pound of loaf sugar, let it stand twelve hours longer, and bottle for use. Cork securely. UPDATE: A real Astronomer DID respond to my plea, and you will find the GUEST BLOG post very informative - and even more importantly - fun. Do read it, you wont be sorry. We looked at an ocean liner menu. There are three historic events commemorated this day. It was the day that King Charles II re-entered London after the long exile which followed the English Civil War, the execution of his father, Charles I in 1649, and the short life of the The Commonweath of England under Oliver Cromwell. It also happened to be Charles’ 30th birthday, and surely his Restoration was the best present an exiled King could wish for. The third event is commemorated in one of the common names for the holiday – “Oak Apple Day”. The name reminds of the day in September 1651 when Charles escaped the Roundheads by hiding in a hollow in an oak tree. 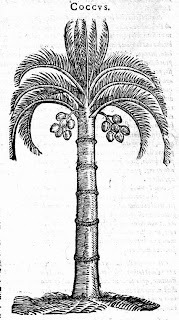 It became a tradition that Royalists wore an oak sprig or an ‘oak apple’ on this day to demonstrate their allegiance to the crown, and those who did not were set to become the victims of various taunts and minor abuses – which gave rise to another common name for the holiday – Pinch-Bum Day. I should also point out here, in the interests of clarity, that oak trees do not bear apples. The ‘apple’ refers to a ‘gall’ or excresence produced on the tree due to the irritating presence of a type of wasp. A local name for these mini-apple shaped galls gives rise to another name for the 29th of May – Shick-Shack Day. It may well be that the roots of the day lie in very ancient ‘tree worship’ times, hence one more name – Arbour Day. Now we’ve clarified that (? 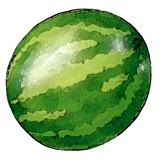 ), lets get onto the food. The seventeenth century in England was a fine time, culinarily speaking. English food (for those who could afford the best) was superb, if we are to judge by contemporary cookbooks. Improved sea-power opened up trade with far away places, and the return of Charles II from exile had stimulated interest in food from Europe (particularly France). Seventeenth century English gourmets could pick the best from everywhere – you may remember Samuel Pepys enthusing over a ‘Spanish Olio’ in a previous story. It became traditional for the Chelsea Pensioners to be treated with good old English Roast Beef and Plum Pudding on this day. There are plenty of plum pudding ideas in the Christmas Recipe Archive, and roast beef hardly seems regal enough for the day, so we need different inspiration. The most famous cookbook of the time was The Accomplish’t Cook, by Robert May, and he included a recipe for cooking beef to mimic red-deer – a common practice of the time, and perhaps something we would try if the King was coming for dinner unexpectedly and we were out of venison. It will do for our main course. To bake Beef red Deer fashion in Pies or Pasties, either Surloin, Brisket, Buttock, or Fillet, larded or not. Take the surloin, bone it, and take off the great sinnew that lies on the back, lard the leanest parts of it with great lard, being seasoned with nutmegs, pepper, and lard three pound; then have for the seasoning four ounces of pepper, four ounces of nutmegs, two ounces of ginger, and a pound of salt, season it and put it into the pie: but first lay a bed of good sweet butter, and a bay leaf or two, half an ounce of whole cloves, lay on the venison, then put on all the rest of the seasoning, with a few more cloves, good store of butter, and a bay-leaf or two, close it up and bake it, it will ask eight hours soaking: being baked and cold, fill it up with clarified butter, serve it, and a very good judgement shall not know it from red deer. Make the paste either fine or course to bake’t hot or cold. To this quantity of flesh you must have three gallons of fine flower heapt measure, and three pound of butter; but the best way to bake red deer, is to bake it in course paste, either in pie or pasty: make it in rie meal to keep long. Otherwayes you may make it of meal as it comes from the mill, and make it onlie of boiling water, and no stuff in it. To make a Pie with whole Pippins. You must pare and core your Pippins, and when your Coffin is made, take a handful of sliced Quinces, and strow over the bottom therof; then place in your Pippins, and fill the core-holes with the sirrup of Quinces, and put into every one a piece of Orangado, so pour on the sirrup of Quinces over your Apples, with Sugar, and close it; these pies will ask good soaking, especially the Quince-pie. For those of you who love words, you will note that these recipes both refer to the food ‘soaking’. It does not mean marinading. ‘To soak’ also used to mean to soak up heat, and specifically "To bake (bread, etc.) thoroughly". Words are Fun, aren’t they? We ate at the summit of Mt Everest. May 25. … At two we arrived at the base of a hill of considerable magnitude, terminating westward in an abrupt perpendicular rock from two hundred and fifty to three hundred feet high. The country we passed over was of the most miserable description; the last eight miles without a blade of grass….. This hill was named Mount Aiton. The country having been recently burnt, some good grass was found for the horses a little to the south-west. We therefore stopped for the night, and ascended the face of the mount for the purpose of looking around: a very large brown speckled snake was killed about half way up, which, in the absence of fresh provisions, was afterwards eaten by some of the party. ….We have seen so few animals, either kangaroo or emu, and the country appears so little capable of maintaining these animals, that the means of the natives in procuring food must be precarious indeed. We found just a sufficiency of water to answer our purpose in a drain from the Mount; our dogs are, however, in a wretched condition for want of food. The observer in snake-eating anecdotes is almost always repelled by the idea, and responds with disgust or admiration at the habits or bravery of the eater. What is it about snake? Newly-hatched birds and other baby animals are said to react in fear to lengths of rope, suggesting that we are biologically programmed to see them as dangerous enemies. Snakes are stealthy creatures too, and we are more inclined to fear that which can sneak up on us. The poor eel is tarred with the same brush. Eels are fish, pure and simple, but they have a snake-like shape and this is often given as the reason for avoiding them. It seems unfair to me. Here is Charles Elmé Francatelli’s Eel Pie from his 1860’s book The Cook's Guide and Housekeeper's and Butler's Assistant. Skin, draw, and cleanse two good-sized Thames eels; trim off the fins, and cut them up in pieces about three inches long, and put these in a stewpan with two ounces of butter, some chopped mushrooms, parsley, and a very little shalot, nutmeg, pepper and salt, two glasses of sherry, one of Harvey sauce, and barely enough water to cover the surface of the eels; set them on the fire, tnd as soon as they come to a boil, let them be removed, and the pieces of eels placed carefully in a pie dish; add two ounces of butter, kneaded with two ounces of flour, to the sauce; and having stirred it on the fire to thicken, add the juice of a lemon, and pour it over the pieces of eels in the pie dish; place some hard yolks of eggs on the top; cover with puff-paste; ornament the top; egg it over, bake for about an hour, and serve, either hot or cold. To the goggling unbeliever [Texans] say - as people always say about their mangier dishes - "but it's just like chicken, only tenderer." Rattlesnake is, in fact, just like chicken, only tougher. Alistair Cooke. The famous Reform Club opened this day in London in 1836. The Gentlemen’s clubs which were an integral part of the life of the Victorian London male had begun life a century and a half earlier as coffee-houses. Coffee took Europe by storm during the seventeenth century, but it was a beverage not easily prepared at home, requiring as it did special equipement for roasting and brewing. Inevitably, people met other people at the coffee houses, and inevitably, people with particular interests tended to gravitate to the same venues. Entire economic and political organisations – such as Lloyds of London – arose from individual coffee houses. By the early nineteenth century, more and more of the (male) movers and shakers of the Industrial Revolution spent more and more of their time in the Big City, while maintaining homes and families in the country. 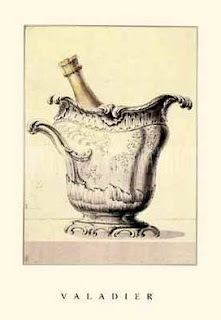 The gentlemen’s clubs (there were about 30 in London by mid-century) provided “an aristocratic home and admirably-regulated menage, without any of the trouble inseparable from a private household” for several generations of men schooled in the all-male environments of prestigious universities. London clubland was centred around St James and Pall Mall. The Reform Club was there, and as with most clubs, it was a “special interest” club. In 1832, The Representation of the People Act 1832 (commonly known as the Reform Act) was introduced by Whig politicians to make dramatic changes to the electoral system to reflect the demographic changes resulting from the Industrial Revolution. The Reform Club was decidedly not a Tory club. It became famous on account of its food – thanks to the famous chef Alexis Soyer, who presided over the kitchens from 1837-50. One of his signature dishes was “Lamb Cutlets Reform” – a dish of breaded cutlets served with a sweet-sour sauce based on a classic poivrade sauce. I have been unable to find his original recipe, although he alludes to it in his book, The Modern Housewife. The dish clearly outlived his time at the club, for one of the later chefs, Charles Elmé Francatelli included the recipe in one of his own books, The Cook’s Guide and Housekeepers and Butler’s Assistant. It is worthy of rediscovery, if you can source some Harvey’s Sauce. Prepare some poivrade sauce, No. 19; to this add a glass of port wine, half that quantity of Harvey [sauce], a teaspoonful of anchovy, and two good tablespoonfuls of red currant jelly; boil together for five minutes, and pour into a clean small stewpan for use. Cut up into very small square pieces an ounce of lean ham or bacon, the same quantities of carrot, celery, and onion, a bay-leaf and thyme, twenty peppercorns, and a bit of mace. Fry these ingredients in a small stewpan, with a piece of butter the size of a walnut, until the whole becomes well browned; add a wineglass of vinegar and half that quantity of mushroom catsup, and a teaspoonful of anchovy; and when this has boiled down to half its original quantity, then add about half a pint of brown sauce, a few spoonfuls of good stock, and a wineglassful of sherry. Let the sauce boil gently by the side of the fire, to throw up the grease, &c, which having been removed, strain through a sieve or strainer into a small stewpan for use. Note. 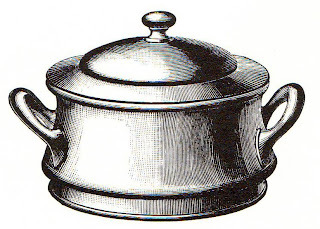 It frequently happens in small households that ready-made brown sauce is not to be had; in such cases, and in order to save time and expense, a little thickening can be easily made by using for that purpose equal proportions of butter and flour kneaded together, and stirred quickly over a slow fire for three minutes, and moistened with good stock, or any kind of broth. It was Queen Victoria's Birthday. Speaking of food, English cuisine has received a lot of unfair criticism over the years, but the truth is that it can be a very pleasant surprise to the connoisseur of severely overcooked livestock organs served in lukewarm puddles of congealed grease. England manufactures most of the world's airline food, as well as all the food you ever ate in your junior-high-school cafeteria. Dave Barry. The state of South Australia was the first in the world to give women the right to vote. One of the pioneers of the feminist movement in the country was Louisa Lawson, the mother of the famous bush poet Henry Lawson, and a poet and publisher in her own right. On this day in 1889 she addressed the founding meeting of the Dawn Club in Sydney, which she had started – a women’s club which encouraged debate and discussion on a variety of issues relating to women’s rights. The first meeting was at Forresters Hall, but subsequent meetings were held at a variety of tea rooms around the city. Many of the tea rooms were owned by a Chinese immigrant called Quong Tart – a man who understood discrimination all too well, but who ultimately became ‘as well known as the Governor himself’ for his business and philanthropic activities in Sydney. Louisa Lawson’s sisters around the globe were fighting the same fight, and a major fund-raiser for many groups was the production and sale of cookbooks – an idea that would have made many militant feminists half a century later shudder in horror. Thankfully, the movement has moved on, and it is perfectly possible to be a feminist who cooks today. Not that Louisa would have had a choice (and feminism is about choice after all). Her life was not luxurious – at times it was very hard, and she undoubtably knew how to cook. I do not know if she contributed to any cookbooks, but she would surely have admired her sister-publishers who did. In her honour I give you three recipes from The Suffrage Cookbook, published in America in 1915. Pie for a Suffragist's Doubting Husband. Mix the crust with tact and velvet gloves, using no sarcasm, especially with the upper crust. Upper crusts must be handled with extreme care for they quickly sour if manipulated roughly. Beat the eggs until light - not stiff; sift sugar 7 times, add to eggs, beating as little as possible. Sift flour 9 times, using only the cupful, discarding the extra flour; then put in the flour the cream of tartar; add this to the eggs and sugar; now the vanilla. Put in angel cake pan with feet. Put in oven with very little heat. Great care must be used in baking this cake to insure success. Light the oven when you commence preparing material. After the first 10 minutes in oven, increase heat and continue to do so every five minutes until the last 4 or 5 minutes, when strong heat must be used. At thirty minutes remove cake and invert pan allowing to stand thus until cold. Beat well ; cook in double boiler. When cold and ready to serve, fold in ½ pint of whipped cream. I particularly like the first recipe. There are plenty of women capable of choosing good husbands (or, if not good when chosen, of making them good); yet these same women may be ignorant on the subject of making good pie. Major Thomas Mitchell, a distinguished military man of Scottish birth was appointed Surveyor-General of NSW in March 1827. His exploratory expeditions made a huge contribution to the mapping of inland Australia, but he was said to be a difficult, haughty man. No doubt Major Mitchell’s wife, Mary was long-suffering on both counts. I wonder, when she found out that she was to be sent out to the colonies, did she relish the adventure, or dread the life ahead of her? Mary kept a manuscript book of recipes inscribed with this date in 1827. Did she bring it with her? Was it a gift from anxious female friends and relatives? The waters of New South Wales had fish in abundance, and it is to be hoped that she made much use of the recipe for ‘caveach’ in the book. The OED says that to caveach is ‘to pickle mackerel or other fish according to a West Indian method.’ ‘Caveach’ sounds suspiciously like ‘ceviche’, does it not?. Surely both words have the same origin? But ceviche is said to have originated in South America (several countries claim the invention), not the West Indies. There is a persisting rumour that there is an Arab influence to the concept, so perhaps the Spanish are the common intermediaries. A ceviche is ‘raw’ fish, in the sense that it is not cooked by heat, it is fish ‘cooked’ by the action of an acid, which in the case of South and Central America is in the form of citrus juice. Mary’s ‘caveach’ on the other hand calls for the fish to be first fried before it is pickled in vinegar. Minor variations of her recipe appear in English cookbooks from the early eighteenth century. It seems that the name and the concept were both adapted by English cooks, as the following recipe (the earliest I have been able to find) suggests. To Pickle Mackarel, call’d Caveach. Cut your Mackarel into round Pieces, and divide one into five or six Pieces: To six large Mackarel you may take an ounce of beaten Pepper, three large Nutmegs, a little Mace, and a handful of Salt; mix your Salt and beaten Spice together, and make two or three holes in each Piece, and thrust the seasoning into those holes with your finger; rub the Pieces all over with the Seasoning; fry them brown in Oil, and let them stand ‘till they are cold; then put them into Vinegar, and cover them with Oil. They will keep, well cover’d , a great while, and are delicious. I would love to hear about any early references to ceviche in Spanish or Portuguese cookbooks! Give a man a fish and you feed him for a day. Teach a man to fish and you feed him for a lifetime. Chinese Proverb. Give a man a fish and you feed him for a day. Teach a man to fish and get rid of him for a whole weekend. Australian version. P.S Thanks to those of you who noted that the comments button for yesterday's Wonder Bread post had disappeared. It has been fixed, so please comment-away. Several American newspapers carried advertisements for a new product on this day in 1921. That everyone has read and heard. The Staff of Life it isn't. Is it unethical, to despise something you have never actually tasted? 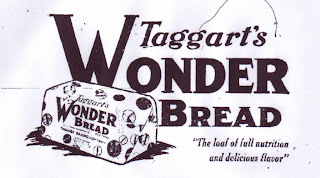 I confess to never having eaten Wonder Bread on any of my several short trips to the USA, but nevertheless I feel I know it from its clones around the world. High fructose corn syrup, soybean oil, salt, molasses, yeast, mono and diglycerides, exthoxylated mono and diglycerides, dough conditioners (sodium stearoyl lactylate, calcium iodate, calcium dioxide), datem, calcium sulfate, vinegar, yeast nutrient (ammonium sulfate), extracts of malted barley and corn, dicalcium phosphate, diammonium phosphate, calcium propionate (to retain freshness). Wonder Bread sounds pretty scary. A Cheshire Servant Maid's Account of her making leavened Bread. 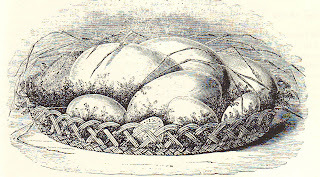 She told me in November 1746, that in the part of Cheshire where she had lived they eat barley-bread, or bread made with half rye and half wheat-meal, which they there call mobbum bread; but in other parts of Cheshire, towards Manchester, she says, they eat sour cake, that is to say, oatcake-bread. Her way to make barley or mobbum bread was to save a salted piece of leavened dough against next baking, and then crumble it into warm water, with which she mixed her flower, and made it just into a dough over night, and let it lie till next morning, when she kneaded it for good. She said, they make use of no yeast, unless they think the leaven not strong enough to ferment the dough of itself, - but to make leaven the first time, knead a piece of dough with salt, as long as it will take up any, then hang it up, or leave it covered in salt; and to make it better, you may add a little yeast to the dough, or instead thereof some grounds of ale, or an egg. The staler the leaven the closer will be the bread, and the sooner sour, and if the dough is not well kneaded, it will be streaky. Mobbum Bread sounds pretty good. Unless you would miss those exthoxylated mono and diglycerides of course. Four (4) people have voted for The Old Foodie in the Bloggers Choice Awards! My family are, to a member, adamant that they didn't do it. Thankyou, whoever you are. What fun. I was going to make myself this Fun Pudding (1870's) to celebrate, but it sounds too underwhelmingly funny. I'll have some red bubbly wine instead. Red bubbles are great fun. With chocolate to follow. Mix a couple of spoonfuls of arrowroot with half a pint of milk and the same of cream. Put it in a stew pan, with sugar to sweeten. Stir until it boils. Have ready sliced apples enough to fill a large sized dish; they should be sliced thin, and sugar should be strewn between the slices. Put bits of butter over the apples, and bake them gently till soft. Let them go cold, pour the arrowroot (also cold) over them. Garnish with apricot jam, and serve. Peter Carl Fabergé was born on this day in 1846 in St. Petersburg, and he grew up to be the goldsmith to the Russian Imperial Court of Tsar Alexander III. He is famous for the extraordinary handcrafted bejewelled Easter Eggs he created for the Russian royals, who gave them to each other as gifts. In 1998, Fabergé was honoured by the famous London hotel, Claridges, during its centenary year. The focus was on the recreation of famous and fabulous dishes from historic events for a special “Taste of History” menu. At least one new dish was especially created for the centenary, and it was inspired by Fabergé’s exquisite jewelled eggs. Egg Fabergé consisted of a lobster mousseline stuffed with a quail's egg and garnished with a mosaic of macaroni and truffle, served on a nest of celeriac. An elegant, stylish dish for an elegant stylish hotel. In medieval times, the feast was an opportunity to impress – a feast was as much about theatre (and propaganda) as about food, and often these were the same thing. At the end of each course, a ‘subtelty’ would be produced and paraded around the feasting hall. It might be a huge pastry sculpture of a castle complete with drawbridge and moat, or a stag in full flight which spouted red wine when it was ‘shot’, or an image of a saint. Whatever its actual form, it was a message designed to induce shock or awe in the guests. When they left the feast they were in no doubt as to the wealth, power, and superiority of their host. Sometimes of course theatrical food was just fun. Style is all very well, but some celebrations demand size. Giant eggs seem to have been particularly popular, if the surviving references and recipes are any guide. Here is one from a fifteenth century German manuscript. We found out a little about the history of coffee. He that but looketh on a plate of ham and eggs to lust after it hath already committed breakfast with it in his heart. C.S. Lewis. Jane Austen wrote a letter to her sister Cassandra on this day in 1799, from the town of Devizes in Wiltshire. Cheesecakes for supper sound like a wonderfully indulgent holiday treat for children, but then the nature of cheesecakes is such that they can be varied to suit any occasion. Once upon a long time ago, they were simpler and perhaps more elegant, made from curds and eggs, sweetened to a greater or lesser amount, maybe spiced a little, and perhaps enriched with butter or marrow (the marrow from bones that is, not the vegetable) and baked in a shallow “coffin” to a delicate custard consistency. There are many recipes for cheesecakes in our earliest surviving cookbooks as they were eminently suitable for the large number of fast days decreed by the Church. A Lenten version was made with almond milk and rice, a crustless version was a ‘pudding pie’, a triangular-shaped one was sometimes called a talemouse, and one with added currants made for an extra-lucky consumer. One thing these early cheesecakes did not contain was cream cheese, as this is a thoroughly modern invention. This and the other modern invention of the refrigerator have allowed the invention of unbaked ‘refrigerator cheesecakes’ which may or may not be an abomination compared to the original thing, but which are certainly less work than the original thing. Recipes for the original thing frequently begin along the lines of ‘first make your curds’, an instruction which usually assumed you had first milked your cow. Here is the method from The Closet of Sir Kenelm Digby, Opened, published in 1669. Take 12 quarts of Milk warm from the Cow, turn it with a good spoonfull of Runnet. Break it well, and put it in a large strainer, in which rowl it up and down, that all the Whey may run out into a little tub; when all that will is run out, wring out more. Then break the curds well; then wring it again, and more whey will come. Thus break and wring till no more come. Then work the Curds exceedingly with your hand in a tray, till they become a short uniform Paste. Then put to it the yolks of eight new laid Eggs, and two whites, and a pound of butter. Work all this long together. In the long working (at the several times) consisteth the making them good. Then season them to your taste with Sugar finely beaten; and put in some Cloves and Mace in subtile powder. Then lay them thick in Coffins of fine Paste and bake them. We were sampling the delights of the siege of Mafeking. 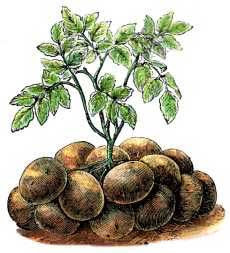 The “Great Hunger” or “Great Famine” which occurred in Ireland in the mid-nineteenth century was called the “Potato Famine” because it was the total destruction of that crop (on which the Irish had become nutritionally dependent) by a fungal blight that was the dramatically visible cause. In reality of course, as always, there were many underlying and contributing issues – economic, political, social and so on – which historians will no doubt still be unravelling for many years. The consensus of history seems to be that the response of the British government was too little, too late, and much of the aid was inappropriate, misguided, and wasteful. Soup kitchens offered emergency meals, and we have previously salivated over some of the soup recipes considered appropriate for the poor (see below). The first food depots opened on this day in 1846 in Cork, and distributed potato alternatives such as the much hated Indian Corn (maize). Most of the ‘problem’ was ultimately solved by the Irish themselves, whoeither died or left the country in numbers that will never been known for certain – the same political and social forces muddied the statistical water too. It is likely that over a million people, or something like 10-15% of the population died between 1846-9, and perhaps two million left the country forever, at least half a million of these choosing America, the land of opportunity. You should take with you some flour and suet cut up; mix both together dry – they will keep well, and be always ready. Onions, potatoes, and dried herbs, these three things are very useful in making a sea-pie of a stew out of your salt meat after it has been soaked. Wrap the potatoes and onions up separately, each one in paper, and stow them in a hamper; by doing this, if one gets bad it will not affect the rest. Pack your herbs and put them in papers; don’t forget mint and a little celery-seed for your pea-soup. A few loaves of bread cut up and sent to the baker, with directions to put them in a slow oven and do them to a light brown. A few quarts of dried green and split peas. A couple of hams. A little pepper, mustard, salt, and pickles. A few raisins and currants, with the addition of a little tea, coffee, cocoa, and sugar. Now the major part of these things could be stowed in a flour-barrel, would be compact, and wouldn’t cost much. You wouldn’t want to use these things directly, as you would take with you a few articles for present use. A “sea-pie” can mean a number of things. It can be a pie of seafood or a pie to take on a sea voyage, but it more usually means a pie that can be cooked at sea - a one-pot dinner boiled like a suet pudding, with layers of filling separated by layers of dough “the number of which denominate it a two or three decker”. An “occasional correspondent” to The Times, wrote an article on Trawling in the North Sea in 1883, and included a ‘recipe’ for sea-pie in the text. Another occasional dainty is sea-pie, which our 'doctor', or cook (Charley, the seventh hand) would thus construct: In the bottom of the pot is a layer of junk cut in pieces and free from bone; over this a “deck” of crust as thick as a blanket; over this, a second layer of potatoes and modest condiments, and over this again a second deck of crust. The whole is slowly cooked or stewed in its own juice for several hours, and the result is a mess of pottage which might well have tempted Esau. The French wine classification system was the topic of the day. One way or another, we are all voyeurs at heart. We may peer judgementally at the contents of the supermarket trolley in front of us at the checkout queue, or we may surreptitiously read about the latest celebrity love and lust dramas in weekly magazines, or we may read other people’s diaries. I mean of course historic diaries. Broccoli was the stand-out food for me when I read this description, although I was tempted by the idea of an unfashionable supper. Broccoli is the vegetable that proves that the average customer at the greengrocer is smarter in some ways than a lot of heavily scientific botanists and horticulturalists. The latter struggle to find any significant difference between broccoli (Brassica oleracea var. botrytis asparagoides) and cauliflower (Brassica oleracea var. botrytis cauliflora), whereas even the vege-phobes amongst us can distinguish them from across the store. Broccoli, I am reliably informed, differs from cauliflower only in “the form and colour of its inflorescence and its hardiness”. And both are only variations of the cabbage plant after all, as we have previously noted. Broccoli, as its name suggests, was produced (developed? invented?) either deliberately or accidentally, in Italy. It appeared in Britain in about 1720, but did not take the vege-growing or eating public by storm. It has been treated with fluctuating indifference ever since. From the mid-eighteenth century to the early Victorian era, cookbooks – if they had any recipes for it at all – all gave variations on the same three themes. Broccoli was boiled and buttered (with most recipes noting that the French eat it with vinegar and oil), or ‘boiled like asparagus’, garnished with nasturtium buds and served as a ‘pretty salad’, or cooked with eggs. Broccoli then seems to have fallen somewhat out of favour. There is nothing at all in Richard Dolby’s The Cook's Dictionary, and House-keeper's Directory: A New Family Manual of Cookery … (1830) in spite of its reasonably encyclopedic content. Those eminent Victorian cookbook authors, Isabella Beeton and Eliza Acton have one recipe each for what is essentially the boiled vegetable. An author called Frederick Bishop was at least aware of (and sounds slightly sad about) the imminent loss of the broccoli and egg recipe, so I give it here as it sounds worth rediscovering, reviving, or re-vamping. Keep a handsome bunch for the middle, and have eight pieces to go round; toast a piece of bread to fit the inner part of the dish or plate; boil the broccoli. In the meantime have ready six (or more) eggs beaten, put for six a pound of fine butter into a saucepan, with a little salt, stir it over the fire, and as it becomes warm add the eggs, and shake the saucepan till the mixture is thick enough; pour it on the hot toast, and lay the broccoli as before directed. This receipt is a very good one, it is occasionally varied, but without improvement, the dish is however nearly obsolete. Is there a society for the Preservation of Lost Recipes? I would like to join. “I do not like broccoli. And I haven't liked it since I was a little kid and my mother made me eat it. And I'm President of the United States and I'm not going to eat any more broccoli.” George Bush Snr. Our old friend Parson James Woodforde of Norfolk told us about his dinner on this day in 1789 in his diary, and he lamented the lack of the traditional accompaniment to his fish. Most of our longstanding traditional accompaniments such as apples with pork and cranberries with turkey have their origins in the seasons and in terroir. The parson notes that his mackarel was the first they had had that year. A book of the time tells us that it is season from April to July, and as the parson notes, it would have been expected that the gooseberries would have been available by this time in May. Pigs were often reared in association with orchards, the fruit lending its flavour to the animal’s flesh, and making it a perfect accompaniment to it on the table. Likewise, turkeys and cranberries are natural accompaniments because both originated in the North American continent. In medieval times, there was no distinction between sweet and sour dishes, but by the end of the seventeenth century this had become clear, and an enjoyment of sour flavours had developed. A common sour note at the time came from the barberry – which we have looked at previously. This fell out of favour and became less available when the bushes were found to be a source of a disease which was damaging wheat crops around the world, and large scale eradication was put in place. Gooseberries were commonly added to what we would consider savoury dishes today. Like most other fruit, they were likely to be more sour in the parson’s day than we are used to now, thanks to two hundred years of horticultural progress that have given us sweeter cultivars. Recipe books of the eighteenth century clearly show that they were the traditional and favourite accompaniment to mackerel. So was fennel. The plain lemon is now our generic fish flavouring of choice. Methinks that in some respects our ancestors had more variety than we do. Whether you prefer your fish boiled or broiled, these recipes from The new art of cookery, according to the present practice; being a complete guide to all housekeepers, on a plan entirely new ... , written by Richard Briggs, “many years cook at the Globe Tavern Fleet-Street, the White Hart Tavern, Holborn, and now at the Temple Coffee-House, London” will show you how to do it eighteenth century style. Gut and wash the mackarel clean, take care of the liver and roe, and put it in the fish again; have a kettle of spring water boiling, put in some salt, put the fish on a drainer, and tie them across it with packthread, put them in and boil them; (if large half an hours, smaller twenty minutes) take them up, let them drain a moment, and put them in a dish; garnish with green fennel and scalded gooseberries, with fennel and butter and plain butter in boats. Gut your mackarel and wash them clean, split them down the back, wipe them dry with a cloth, sprinkle some pepper and salt on them, with a little fennel, mint, and parsley chopped fine, flour them and broil them over a clear fire till they are brown; put them in a hot dish, and garnish with scalded gooseberries and fennel, with fennel and butter and plain butter in boats. You may broil them whole; gut and wash them very clean, chop some fennel mint and parsely fine, mix it with a piece of butter and a little pepper and salt, stuff the mackarel and wipe them with a cloth, flour them, and broil them gently for half an hour; put them in a hot dish, and garnish with scalded gooseberries and fennel, with plain butter in a boat. We found out about Diligrout. On this day in 1876 the Centennial Fair opened in Philadelphia. It was the first World Fair in the USA, and as its name suggests, it was held to celebrate the one hundredth anniversary of the Declaration of Independence. And what is an anniversary without a cake? There are lots of emphatic, but completely un-documented references to a 'Centennial Cake' produced especially for this event, a cake which the same emphatic references say is the ancestor of Shoo-Fly pie. It might seem strange to suggest a cake as an ancestor to a pie, but this is from a country that clearly confuses the two as shown by the existence of the famous Boston Cream Pie, which is unequivocally a cake. I await eagerly but with some trepidation for my American friends to chastise, ridicule, inform, enlighten or otherwise engage with me in the process of enlightenment on this issue. Two cups pulverized sugar, one of butter rubbed to a light cream with the sugar, one of sweet milk, three of flour, half cup corn starch, four eggs, half pound chopped raisins, half a grated nutmeg and two tea-spoons baking-powder. Which sounds like a fairly unexciting cake for such an special event, does it not? One cup stewed apples, sifted; one cup cream or rich milk; one cup sugar, one-half teaspoon cinnamon, two eggs beaten stiff; put all together and bake in pie crust, same as for custard pie. When baked pile on top whites of two eggs well beaten, with one tablespoon sugar; return to oven and brown slightly. It does not, however, sound at all like shoo-fly pie, does it? I think I need help with this. 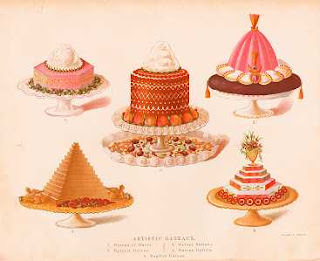 Those of you “Over There” please consider sending in your own Centennial Cake recipes in, and we will try to make sense of it all. If anyone has the mythical ‘original’ recipe from the Centennial Fair, I will be most pleased. We left Banks a few days ago purchasing breadfruit. On this day, still ‘in distress for nescessaries’, he was negotiating for that other South Sea staple – coconuts. As far as food goes, the coconut tree provides a number of completely different products. Coconut juice is the ‘water’ inside the shell, available as a refreshing drink without any further ado (so long as you have a machete), and which is not to be confused with coconut milk and cream (made by infusing and pounding the flesh in water). There is also coconut oil, coconut sugar (syrup and ‘honey’), a version of the alcoholic drink ‘toddy’, and of course the hard white flesh itself. Dried and dessicated coconut is what we often reach for when we see a recipe containing coconut – it is often too much trouble, even if the whole coconuts are available, to chip and chop out the flesh from the shell. I don’t know when these products became widely available, but in many instances they are an abomination compared with the real thing. Often they are ‘sweetened’ – as if coconut was not already sweet enough! and with a list of additives that are so scary they have to be disguised with code numbers. We can learn a thing or two from our Victorian ancestors. They used the real thing when it came to coconut. I know, I know - they had kitchen hacks to do the hard hacking, and if the dried sweetened additive-laden version had been available they would surely have used it …. Nevertheless these recipes are very worthy. Who said Victorian food was stodgy and unimaginative? Grate a large cocoa nut fine. Stir together a quarter of a pound of butter, and a quarter of a pound of loaf sugar till quite light. Beat six eggs and mix them gradually with one pint of cream, or cream and milk mixed together; stir all together well. Put the mixture into a dish and bake it. Serve hot or cold with sifted sugar: this pudding may be baked in puff paste. Take a fresh cocoa-nut, grate it finely, and allow half a found of finely-sifted sugar and the whites of four eggs beaten to a firm froth to every quarter of a pound of cocoa-nut. Mix the ingredients thoroughly. Drop little balls of the paste upon a well-battered tin about two inches apart from one another. Bake in a moderate oven. When the macaroons are lightly browned all over they will be ready. Grate very finely the white of a fresh cocoa-nut, and simmer it gently for an hour in some good stock, allowing a quarter of a pound of cocoa-nut for every half gallon of stock. Strain the liquid, and thicken it with some ground rice; half a pound of ground rice will be enough for this quantity. Season it with a little salt and cayenne, and a small tea-spoonful of mace. Just before serving, draw it from the fire, and add a cupful of thick cream. Methinks this soup might be a worthy partner to the chocolate soup featured in a previous story. Perhaps both, poured artistically into the bowl together. Chocolate-Coconut Soup! Now there’s a cutting-edge, modern-sounding, innovative idea. Feel free to use it. We learned about High Tea and Low Tea. Half of the receipts in our cookbooks are mere murder to such constitutions and stomachs as we grow here......in America, owing to our brighter skies and more fervid climate, we have developed an acute, nervous delicacy of temperament far more akin to that of France than of England. Catherine Beecher, 1846. On this day in 1954, after thirteen years of control, and nine years after the end of the war, cheese was de-rationed in Britain. Cheese rationing started in May 1941 at a tiny one ounce per person per week; it was at a maximum in July 1942 at a luxurious eight ounces. For most of the war the allocation was between two and four ounces per week, with declared vegetarians and ‘certain workers’(such as underground miners and agricultural workers who could not easily get to a canteen) getting a little more. This filling between two good slices of bread makes an appetising and nourishing meal especially good for heavy workers. Ingredients: Left-over cold potato or cooked haricot beans. Grated cheese. Pinch of dry mustard. Method: Mash the beans or potato and mix well with grated cheese and dry mustard. This can be spread directly on the bread, butter or margarine being unnecessary. To make the sandwiches a perfect meal, raw shredded cabbage, spinach, or sliced tomato, or well-chopped parsley should be added. Ingredients: 2 slices of bread, 1 teaspoonful margarine, 1 teaspoonful, chutney, or worcester sauce, or yeast extract, 2 tablespoonfuls grated cheese. Method: Toast bread and spread with margarine and a thin coating of chutney, or worcester sauce, or yeast extract. Cover with grated cheese. Place under the grill till golden brown. Eat with a raw vegetable salad. The latter recipe fits nicely with our mini-collection of other recipes for Welsh Rabbit. Well, and what's cheese? Corpse of Milk. James Joyce. The movie version of the death of Chicago mobsters John Scalise, Albert Anselmi, and Joe Giunta on this night in 1929 is that they were bludgeoned to death at the banquet table with a baseball bat wielded by Al Capone himself, who then riddled them with bullets to be sure they were appropriately punished for plotting against him. Movie truth is not real truth however, and the real truth is that the real truth will probably never be discovered - all of the other protagonists in that particular set of Chicago’s gangland wars having long since gone one of the ways that gangsters tend to do. Certainly the bodies of the three men were found battered and bulletted early the next morning, but the police and coroner believed (or stated) the next day that the murders were “Just a message from ‘Bugs’ Moran’s boys” in retaliation for the St Valentine’s Day massacre. The credit for the deaths only became attributed to Al Capone some time later, and no doubt it did his reputation no harm at all. There is, not surprisingly, a dearth of information on the banquet itself – although if Al did the job himself, it was probably held at his headquarters at the Hawthorne Inn in Cicero. A menu would have been an interesting memento, yes? We must make up our own commemoration dinner, and a nice Italian-American dish from the era would seem very appropriate. My choice is Chicken Cacciatora, which is also particularly visually appropriate on account of its rich, red, unctuous sauce and its name, which translates as “in the style of the hunter”. Chop one large onion and keep it for more than half an hour in cold water, then dry it and brown it aside. Cut up a chicken, sprinkle the pieces with flour, salt and pepper and sautè in the fat which remains in the frying pan. When the chicken is brown add one pint fresh or canned tomatoes and half a dozen sweet green peppers and put back the onion. When the gravy is thick enough add hot water to prevent the burning of the vegetables. Cover the pan tightly and simmer until the chicken is very tender. This is an excellent way to cook tough chickens. Fowls which have been boiled may be cooked in this way, but of course young and tender chickens will have the finer flavor.